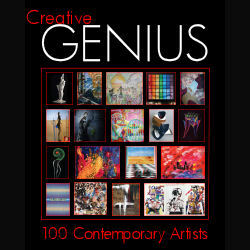 The Publisher World of Art in London, UK will this Autumn launch the Art Book ”Creative GENIUS”. 100 artists from all over the world have been chosen. A limited edition of “Creative GENIUS” will be signed by Asbjorn Lonvig. A signed print of an art work from the book is put in.